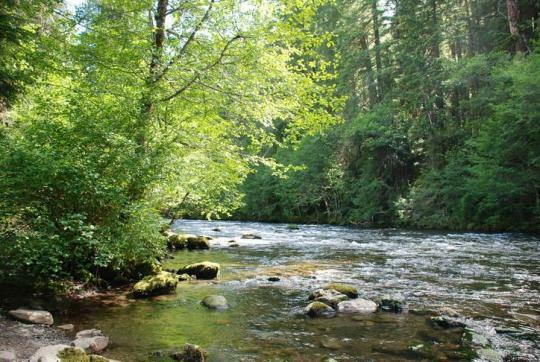 Riverside is in the North Santiam Travel Corridor of the Willamette National Forest. The forest covers 1.6 million acres on the western slopes of the Cascade Range. 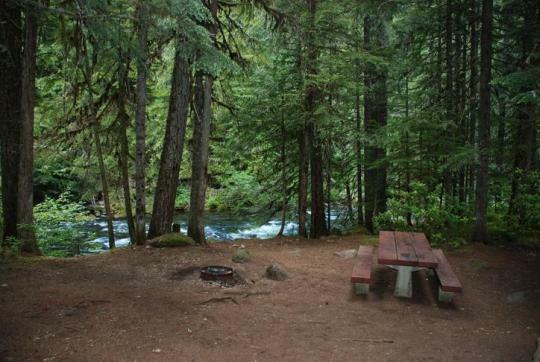 Located along the North Fork Santiam River, at an elevation of 2,400 feet, Riverside is perfect for those looking for a more remote camping experience. Surrounding vegetation includes hemlock, rhododendron and fern, among the towering cedars and Douglas fir. Roomy, shaded, campsites accommodate both tents and RV's but no hookups are available. 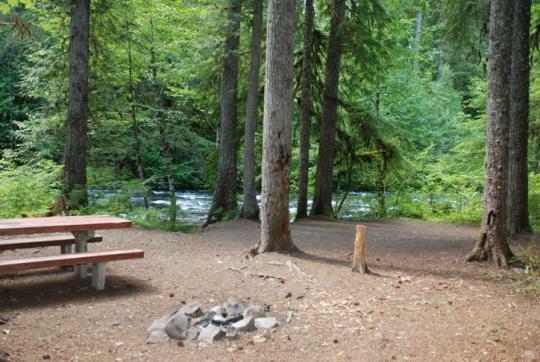 Campsites have picnic tables and fire rings. Trash receptacles, drinking water and vault toilets are also provided throughout the campground. Riverside is popular for fishing for rainbow and hiking and biking the many trails in the Coffin Mountain Trail Area. Enjoy our virtual tour of Riverside Campground then follow the link to find other campgrounds in the Detroit Ranger District.